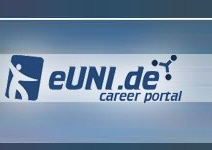 1.1 eUni GmbH (hereinafter referred to as "publisher") and the undersigned company / university / business partner (hereinafter referred to as "customer") agree to fulfil the performance of their contract pursuant to the price list and terms and conditions. Any terms and conditions of the customer do not apply, unless publisher explicitly consents to them in writing. 1.2 The version of publisher's terms and conditions in force at the time of the last concluded contract with the customer, shall apply to the relationship between publisher and the customer. These terms and conditions only apply to business customers or universities, but not to consumers and visiters. 2.1 The contract is concluded when publisher receives the signed acceptance of the contract offer or as online booking, which shall contain the date and signature of the customer. Amendments and additions to the contract as well as statements and individual instructions must be made in writing. PDF email attachments or faxes are considered to be a written form. If publisher receives the acceptance of the contract offer after the end of a deadline for the offer, this shall be deemed a new offer made by the customer. The contract is then concluded by acceptance by publisher which will either be made explicitely in textform or implicitly by provision of the services. 3.1 The contract obliges publisher to publish the products and perform the services agreed upon in the contract, displayed at www.publisher.de or www.university-directory.eu in accordance with these terms and conditions. The publishing period in relation to access to application service provider products shall be at least 22 hrs per day. 3.2 The contract entitles publisher to use customer data for trend analysis and surveys, however, results shall be published anonymously. 4.1 Payment for the services performed by publisher is set out in the price list given to the customer. The price list which was in force and given to the customer at the time when the offer was made to the customer shall be valid. services that are not included in the publisher price list are subject to individual agreements between publisher and the customer. 5.1 Payment referred to in section 4, includes all additional costs such as e-mails, telephone calls, fax, data transmission, copies and postage which are usually incurred. The cost of corrections and proof-reading that have occurred as a result of the customer supplying incorrect data are not included. publisher will inform the customer if the additional costs exceed the average amount in relation to individual orders. The customer is obliged to pay publisher for these additional costs if he has consented to them. 5.3 The customer will be invoiced immediately after the first rendering of a service element and at the latest 14 days after the conclusion of the contract if no service element has been rendered due to the fault of the customer. Payment is due 10 days after receipt of the invoice, without deductions. When a default in payment or a deferment of payment has occurred interest will be charged at the rate of 8% above the base rate of the European Central Bank and collection costs will also be charged. In addition thereto publisher may claim dunning charges in the amount of 15,- €. In the event of a default in payment, publisher can suspend further performance of the contract until the payment has been made in full. This shall not apply if the customer is entitled to assert a right of retention. If the parties agreed on payment by instalments, and an instalment is not paid 30 days after the due date, the whole of the remaining amount shall become payable immediately. 5.4 All prices exclude any VAT legally payable on the date of the invoice. 5.5 If payment is made from abroad, cheques for less than 1,000 Euros will only be accepted if an administration charge of 25,- € is paid in addition. Payment by bank transfer from abroad will only be accepted if all bank fees and expenses are paid by the customer. Any payments made by the customer will be credited against the oldest outstanding invoice. publisher may refuse to fulfil its services until customer has made all outstanding payments. 6.1 publisher is committed to continually optimise the number of responses to advertisements of the customer and to improve the quality and quantity of the searchable applications. This includes working together with several cooperation partners in all media (including online, offline, TV, mobile and moving pictures media and any new forms of exploitation). The customer hereby gives publisher the right to publish service elements without prior notice in online and offline media, print media and audio and video media. publisher pays special attention to the image and quality of its cooperation partners. 6.2 The customer's rights under this contract are neither transferable nor assignable. The contract can only be transferred to a third party with publisher's consent. 6.3 After concluding this contract the customer agrees to receive by e-mail or post questionnaires, newsletters and other commercial communications that help publisher to improve and maintain its quality standard. The customer can withdraw his consent at any time without formal requirements and the withdrawal of consent will be immediately effective. 6.4 publisher reserves the right to not execute orders placed by the customer or to withdraw service elements that have already been published if they breach legal provisions, official regulations, the rights of third parties or good morals ("illegal content"). This also applies if links included in the customer's service elements lead directly or indirectly to pages containing illegal content. The customer's payment obligation remains unaffected. publisher shall only be obliged to remove illegal content that breaches legal provisions and/or at the request of the customer. The customer undertakes to indemnify publisher and hold publisher harmless against all payments and legal costs incurred due to illegal content or breach of law on first demand. 6.5 publisher bears no responsibility for received data, texts for advertisements or the corresponding storage media, and in particular is not obliged to preserve or return these items to the customer. 6.7 publisher is entitled to use vicarious agents. 6.8 The customer is responsible for configuring and arranging his infrastructure in accordance with the prevailing state of the art so that it becomes neither a target nor a source of disruptions which could affect the Internet service supplied by publisher or trouble and fault free network operation in general. 6.9 The customer guarantees that all of his content or parts thereof published by him on the Internet or given to publisher for publication are not encumbered by third party rights. The customer shall indemnify publisher and hold publisher harmless against any damage publisher suffers from an infringement of this provision by the customer on first demand. 6.10 publisher reserves the right to publish internet links to any content of the customer without being responsible for the content. 7.1 This contract does not transfer any (intellectual) property right, licence or right of use from publisher to the customer. All of publisher's rights (including but not limited to copyright, trademark rights, sui generis database rights, logos, titles as well as any other commercial rights) remain publisher's (intellectual) property without restriction. 7.2 All material and content published by publisher is subject to publisher's intellectual property rights (copyright, trademark rights and sui generis database rights), except for the individual elements of such material and content designed by the customer or a third party that are already subject to a customer's or third party's intellectual property rights and that have not been modified/revised by publisher. 7.3 By placing the order for publishing job listings on the Internet, obtains the sole database right to the customer's job listings published in the database by publisher. 7.4 The customer is responsible for ensuring that the content to be published complies with press law, competition law and other applicable provisions. 7.5 By placing the order, the customer warrants and guarantees that he has obtained all necessary exploitation rights, copyrights and ancillary copyrights that are required for the publication of his data and content on the Internet. 8.1 publisher warrants that it will fulfil the services ordered by the customer to be rendered by publisher on the Internet in a manner that complies with usual technical standards. The customer shall provide all information and other documentation required for achieving the objectives set out in the contract. This includes, in particular, the delivery of advertisement texts and layouts in a digital form. This also includes the customer's obligation to immediately inform publisher if one of the service elements becomes outdated. Furthermore, the customer is obliged to fulfil the requirement to co-operate as described in the corresponding additional terms and conditions or, when available, as described in the product descriptions for the various service elements. If these requirements are not fulfilled in time, publisher's period of performance shall be prolonged accordingly. Warranty claims shall neither exist in case of immaterial deviations from the agreed quality nor in case of immaterial impairment of the usability. The customer shall notify defects in writing immediately and at the latest 7 days after the service elements have been put on the Internet. If publisher's is liable for a defect of a service element, publisher shall initially correct the defect by displaying the service elements for a longer period. Only if this measure fails, the customer is entitled to claim a price reduction or may withdraw from the agreement about individual service elements. Upon publisher's request the customer must inform publisher within a reasonable period if he insists on the delivery of the services or if and what other rights he claims because of the delayed services. In the case of repeated clients, the client may terminate the entire contract for the future. Termination of the contract shall not be effective insofar as service elements have already been published. publisher shall be liable for damages - irrespectively of their legal basis - in case of gross negligence and intent. In case of slight negligence publisher shall only be liable for a) damages because of death, injuries of the body or health, or, b) damages resulting from the violation of an essential contractual obligation (an obligation that must be fulfilled to enable the correct execution of the agreement and which the customer may usually trust and may trust that it will be fulfilled); however, in this case the liability is limited to usual damages foreseeable under the contract. The limitations of liability set forth in clause 8.3 do not apply if publisher has fraudulently concealed a defect or guaranteed its absence. The same applies to claims under product liability law. In case of a violation of publisher's obligations that is not a defect, the customer may only withdraw from or terminate the agreement if publisher is responsible. All liability claims shall become time barred after one year of the date on which the customer was aware or should have been aware without gross negligence of the client giving rise to such claim. If a claim is raised against thecustomer by a third party because of an alleged infringement of patents, copyrights, trademarks or business secrets because of a service provided by publisher ("IPR-infringement"), publisher shall indemnify the customer from all costs (including reasonable costs for legal defence) and claims that occur to the customer due to final decisions of a competent court or any settlement agreement entered into by publisher, provided that (i) the customer informs publisher in writing within at most twenty days after a third party claim has first been made (ii) publisher remains the full control in defending any claims because of an IPR-infringement and (iii) the customer provides reasonable support and all information to enable publisher to fulfil its obligations hereunder. The indemnification in this clause shall not apply for any measures or declarations that have been made without publisher's prior approval and shall not apply if the customer continues an IPR-Infringement after he has been informed of changes or modifications that would have avoided an infringement. If an IPR-Infringement is determined by a competent court or if publisher considers an IPR-Infringement possible, publisher may in its discretion either (i) at its own expense replace or modify its services so that no IPR is breached ,(ii) obtain an exploitation right to use the IPR for the customer or (iii) if measures according to (i) and (ii) are not reasonable or possible, terminate the agreement with immediate effect. The client shall immediately inform publisher in writing, if it becomes aware of such breaches of third party IPR. 9.1 publisher shall treat as confidential all information delivered pursuant to this contract which is marked confidential. This obligation of publisher shall also continue after this contract has expired. 9.2 Upon accepting the offer, both parties agree to mutually comply with all applicable privacy and data protection laws. 9.3 The customer is advised in accordance with data protection laws that publisher stores his data in a machine readable form and uses it according to the purposes of this contract. 9.4 It is the customer's responsibility to treat any ID, password or username or other security device provided for the use of the services with due diligence and due care and to take all necessary steps to ensure that they are kept confidential, secure, are used properly and are not disclosed to unauthorized persons. The customer will be held responsible for any usage of his password or his username by third parties unless the customer provides evidence that the access to such password or username by such third parties has not been enabled by him and that the cause of any such access attained does not lie within his sphere of influence. The customer must immediately inform publisher if it is likely or has become known that someone not authorised is using his password or username or if they are being or are likely to be used in any unauthorized way. In the event of a breach of any material obligations of the customer under this contract, in particular including but not limited to the infringement of any obligation described in this section, publisher is entitled to immediately interrupt the operation of its services without further notice and without releasing the customer from any payment obligations. 10.1 This agreement shall be effective from the date on which publisher receives a signed version of the contract. The term agreed therein shall begin with the rendering of the first service element. If the customer is responsible for the late rendering of the first service element the contract shall, at the latest, begin 14 days after the date publisher receives the signed contract. This contract terminates automatically after the agreed period has expired, unless the additional terms and conditions set out below contain different provisions. 10.2 Service elements can only be ordered during the agreed contractual period. The client's right to order service elements that have not been claimed before the termination of the contract shall end with the termination of the contractual period. 11.1 The laws of Germany shall exclusively apply to this contract. The courts of Saarbrücken shall have exclusive jurisdiction for disputes arising out of this contract. 11.2 Service elements can only be used during the term. After the end of the contractual term the customer's right to claim service elements that where not used during the term shall expire. 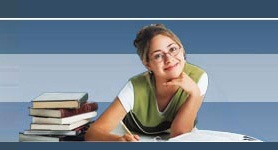 1.1 publisher publishes advertisements on the Internet on behalf of the customer. These additional terms and conditions Online Ordering apply in addition to our general terms and conditions. 1.2 This description of services is exhaustive. 2.1 Contrary to publisher's general terms and conditions the mandatory written form shall not apply. Contractual declarations (Willenserklärungen) can validly be made by both parties without any formal requirements. 2.2 The contract is concluded, when publisher accepts the customer's order. The confirmation of the reception of the order (§ 312 e BGB) is generated automatically and shall not be considered an acceptance of the order. 2.3 The products and rates published at publisher's websites are subject to change. publisher endeavours to publish correct products and rates at all times. publisher shall be obliged to provide the products at the defined prices only after the customer has received publisher's acceptance of the order. 3.1 No agency commission is granted for Online Ordering. 3.2 Generally, the customer can choose to pay by direct debit or within 10 days of receipt of an invoice. In all other cases the provisions of clause 4 and 5 of the general terms and conditions shall apply. 3.3 publisher grants refunds in accordance with statutory provisions. The customer clicks on "placing order"
The contract is concluded when the customer receives publisher's order confirmation. Thereafter the advertisement will be published online. 4.3 In accordance with German law (§ 312 e Abs. 1 S. 1 Nr. 1 BGB), publisher provides technological means that help to identify and correct any errors entered before the order is placed. The most important element in this context is the advertisement preview. 4.4 The contract language is German. 4.5 publisher will store the customer's order. The customer will not have access to his online order. Die Zuwiderhandlung ist gem. § 106 UrhG strafbar. Im Fall der Zuwiderhandlung wird vom Autor Strafantrag gestellt. Sofern innerhalb des Internetangebotes die Möglichkeit zur Eingabe persönlicher oder geschäftlicher Daten (Emailadressen, Namen, Anschriften) besteht, so erfolgt die Preisgabe dieser Daten seitens des Nutzers auf ausdrücklich freiwilliger Basis. Die Inanspruchnahme und Bezahlung aller angebotenen Dienste ist - soweit technisch möglich und zumutbar – auch ohne Angabe solcher Daten bzw. unter Angabe anonymisierter Daten oder eines Pseudonyms gestattet.